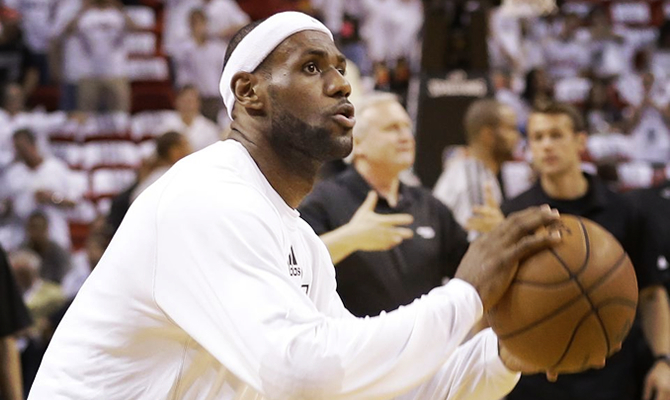 MIAMI — LeBron James can rest as long as he wants. 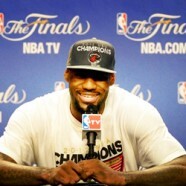 He’s now a two-time NBA champion — and a two-time NBA Finals MVP. After two years of almost constant basketball, James still found a way to be at his absolute best in Game 7 of the NBA Finals. 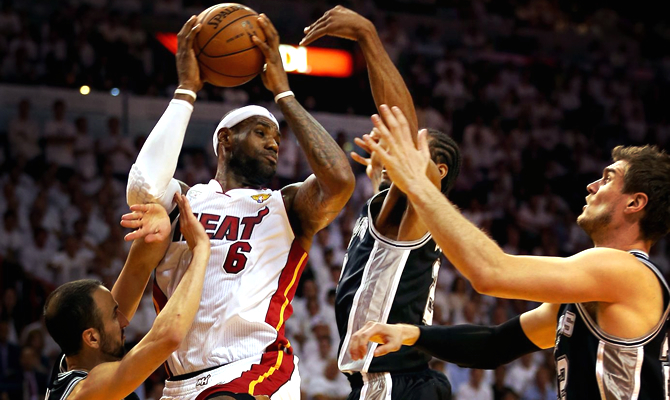 He scored 37 points, grabbed 12 rebounds and simply controlled everything down the stretch, as the Miami Heat won the title with a 95-88 win over the San Antonio Spurs on Thursday night. Two days after helping the Heat survive a wild Game 6 in overtime, James’ final numbers went like this: 12-for-23 from the field, 5-for-10 from 3-point range, 8-for-8 from the line. And in a season when he was the league’s MVP for a fourth time, he has now added a second ring to the collection. Suddenly, his resume is looking as complete as some of the other all-time greats. Here’s a club: He joined Michael Jordan and Bill Russell as the only players in league history to win back-to-back Finals MVPs and regular-season MVP awards. “Listen, I can’t worry about what everybody says about me,” James said, as confetti fell around him. “I’m LeBron James, from Akron, Ohio, from the inner city. I’m not even supposed to be here. That’s enough. Every night I walk into the locker room, I see a No. 6 with James on the back. I’m blessed. So what everybody says about me off the court, don’t matter. I ain’t got no worries. Dwyane Wade scored 23 points and won his third NBA title. Shane Battier — benched earlier in these playoffs — had 18 on six 3-pointers and said, “It’s better to be timely than good,” afterward. Mario Chalmers scored 14 for the Heat, who won despite no points from Chris Bosh. 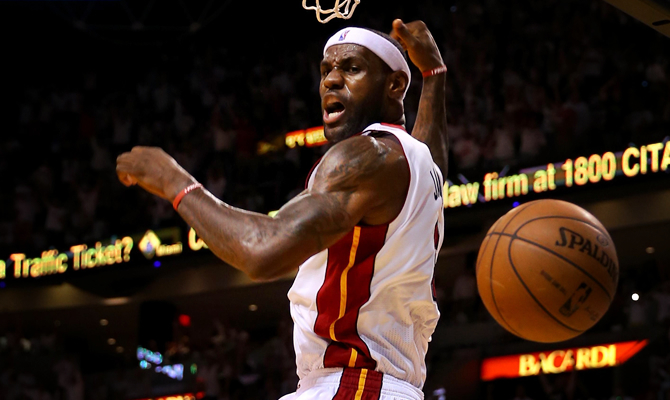 James was good enough to mask any problem the Heat had Thursday night. A series that started with three games of the Spurs supposedly bottling him up and solving the riddle of how to stop the MVP ended with him doing pretty much whatever he wanted.